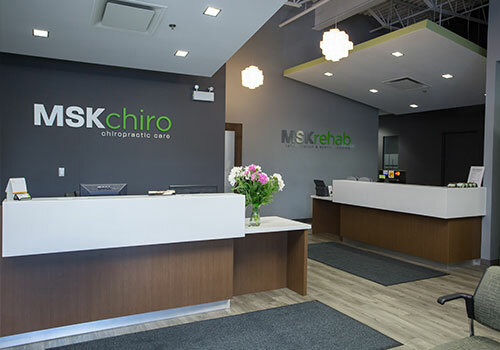 Chiropractic services at MSK Centre focus on restoring proper function and movement to the spine, pelvis, nervous system, and joints. Chiropractic care is a non-invasive, hands-on, health care discipline that focuses on the musculoskeletal system. Chiropractors primarily use their hands to provide treatment for and prevention of a variety of musculoskeletal disorders. The most common therapy used by a chiropractor is spinal manipulative therapy (SMT). SMT consists of a series of precise adjustments to vertebrae of the spine to restore proper movement and improve function.